Coriolus is a high-quality veterinary medicine, which the old Chinese valued for its vitalising effects on the body and the mind. Traditional medicine believes in its supportive properties in the treatment of cancer. Why is 40% polysaccharides an optimal concentration in our Coriolus? 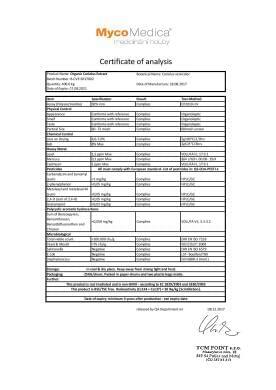 More info Tested in the German Agrolab. We can’t offer Coriolus as a dietary supplement, due of an absurd EU decree. More on here. Therefore, we offer it as a veterinary product. We still can do that, at least so far. While in traditional Chinese medicine (TCM), Coriolus, which has grown almost anywhere in the world, has been used for centuries, and Coriolus has also been known in popular medicine in Southern America, its use as a medicinal mushroom in Europe is still in its infancy. 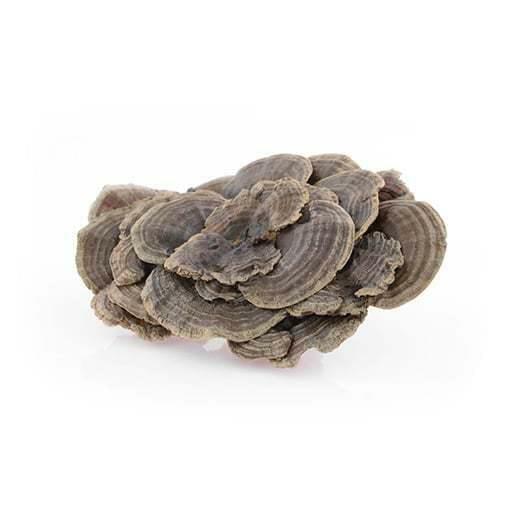 Coriolus (turkey tail, Yunzhi), which means turkey tail in English, because of its appearance. It was also called the grass of the realm of heaven. Coriolus grows on rotting trunks in mild climatic zones in Europe, Asia and Northern America. In China,Corioluswas a highly valued medicine in the Chinese court , especially for its vitalizing effects, since it positively affects both the body and the mind. Traditional medicine believes that, thanks to the content of many types of specific betaglucans, the most essential effect of Coriolus is to help with the treatment of cancerous diseases (as well as in case of most other medicinal mushrooms). From the point of view of traditional Chinese medicine , cancer is just an imbalance of the organism. For example in Korea, Coriolus is a complement to medical treatment in case of 70% all patients with cancer. You can find more information about effects of Corilolus at Mushroom Collection or in the section Effects. We can’t offer Coriolus as a dietary supplement, because of an absurd EU decree. More on here. Therefore, we offer it as a veterinary product. We still can do that, at least so far. It can be administered long term. Warning: Do not exceed the recommended daily dosage. It doesn’t contain any ephedrine, caffeine, gluten, preservatives, dyes or sugar. Store in a dark and dry place at temperatures below 25°C. Keep out of reach of children. 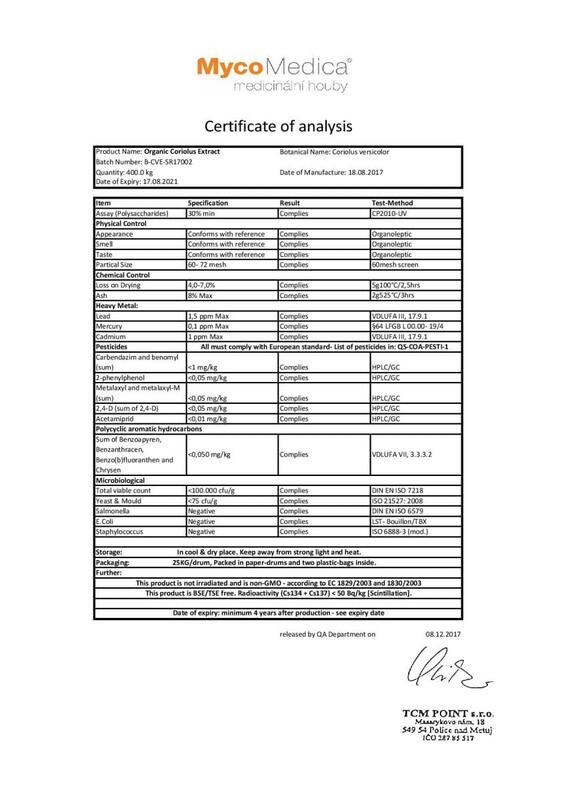 The veterinary product MycoMedica Coriolus was approved under the ref. no. VP: 045-16/C. My husband and I had HPV (human papilloma virus) and after using Coriolus mushrooms for 6 months, our tests were OK. Many thanks. They found pre-cancerous changes on the cervix. I use Cordyceps and Reishi from three capsules / day. After four months use, I’ve been to the gynaecologist and there are no problems. I can confirm the effects of Coriolus on HPV. It took a while, but it turned out well. I also have more energy and adjusted my digestion. Coriolus is the best on warts. It‘s used by the entire family. I'm still using oinment from Mr. Peterka. But I think it wanted cleaning from inside. I chose Coriolus together with Reish and Enoki for my oncologically ill father. I think Mycomedica was a great choice, not only are they helpful and friendly, but their preparations generally work. Dad feels much better, and above all, the tests are showing improvement. I was diagnosed with pulmonary chlamydia. I use Coriolus and Polyporus at relatively high doses. Subjectively, I feel much better, we‘re curious about the tests I'm going for in a month. I’ve successfully used Coriolus on genital warts. I’ve enjoyed 5 packs. I‘ve had peace from them for two months. I hope that forever. Thank you and I recommend MycoMedica mushroom. We gave Coriolus to our dog for a tumour. It disappeared after less than three months. He‘s energetic and lively again.